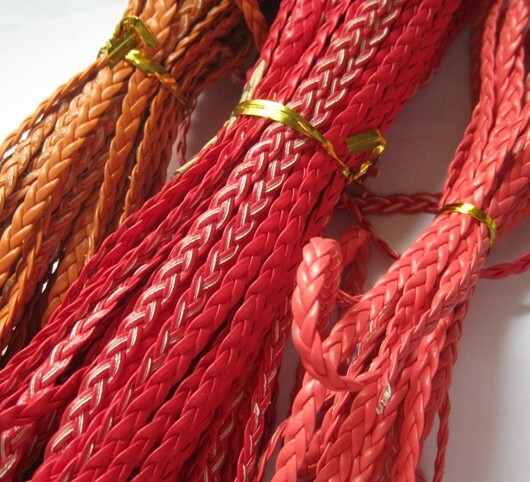 Tagged as 5mm PU leather, braid leather strand, braided leather, buy jewelry supplies, coral braid leather, jewelry supplies, Orange braid leather, RED braid leather, rope 5mm, Twisted leather cord, wholesale braided leather. 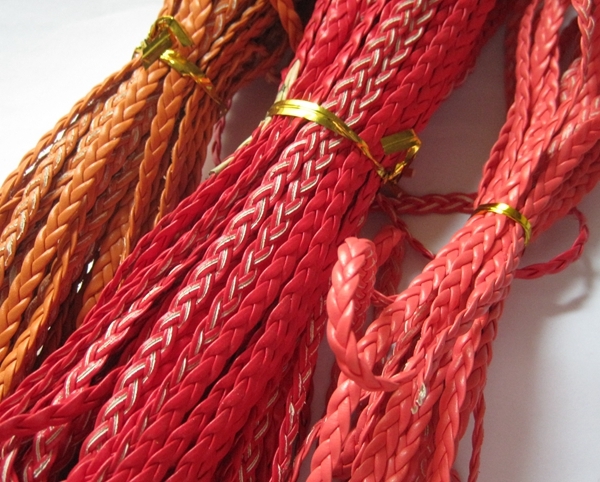 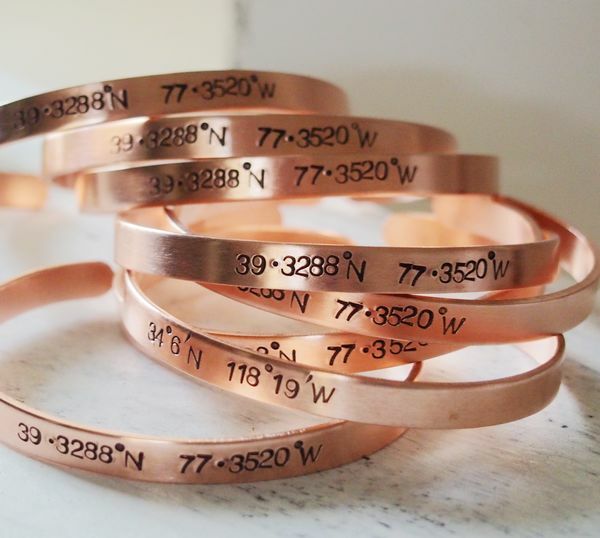 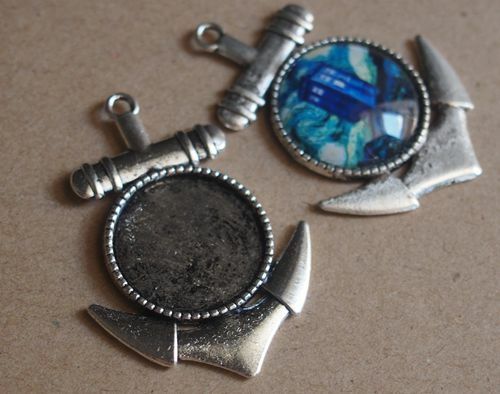 This listing is for 3 different colors for your choosing, as they are very similar color, braid leather is in 5mm width. 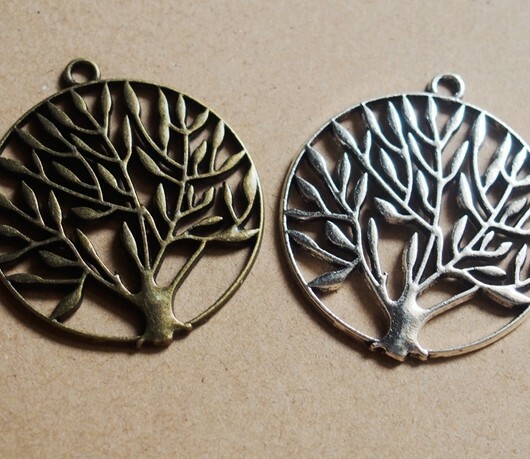 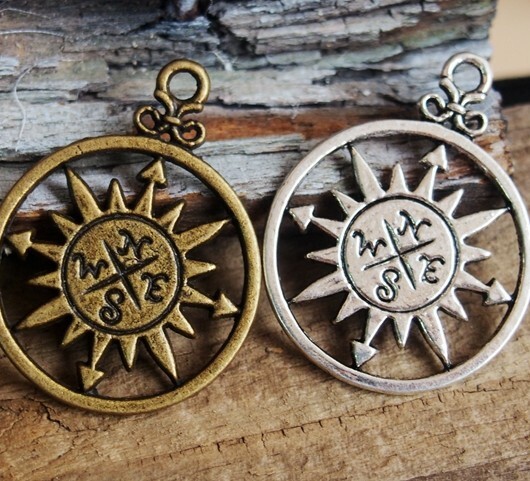 It is in Mint color, and suitable for making jewelries as unique gifts for friends and family relationship. 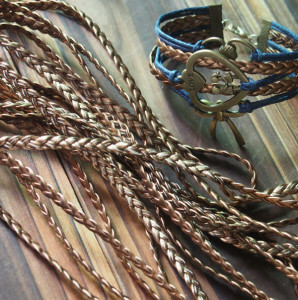 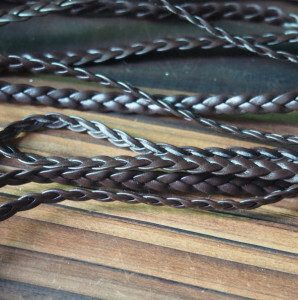 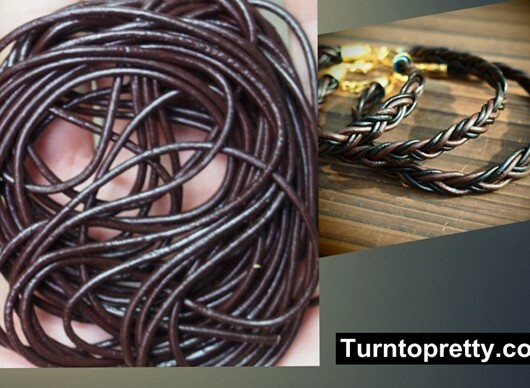 The braid leather have 3 twisted strand and the width is 5mm. 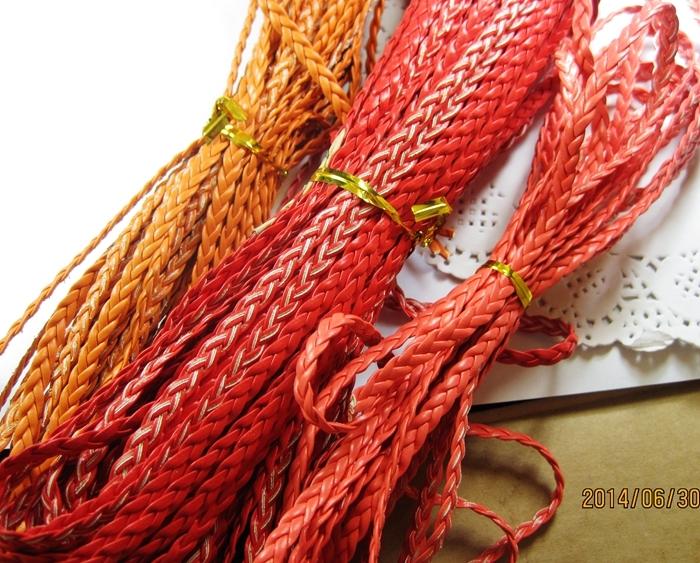 5 Meter per lot for sale.